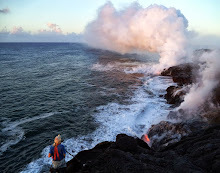 Last night lava broke out of the existing plumbing system that feeds all lava from the eruptive sites high on the mountain and delivers it to the coastal flats and into the ocean. 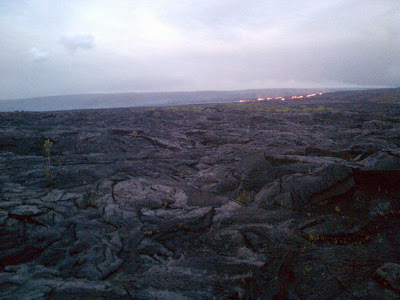 By daybreak this morning a long line of lava could be seen part way up the Pulama Pali. 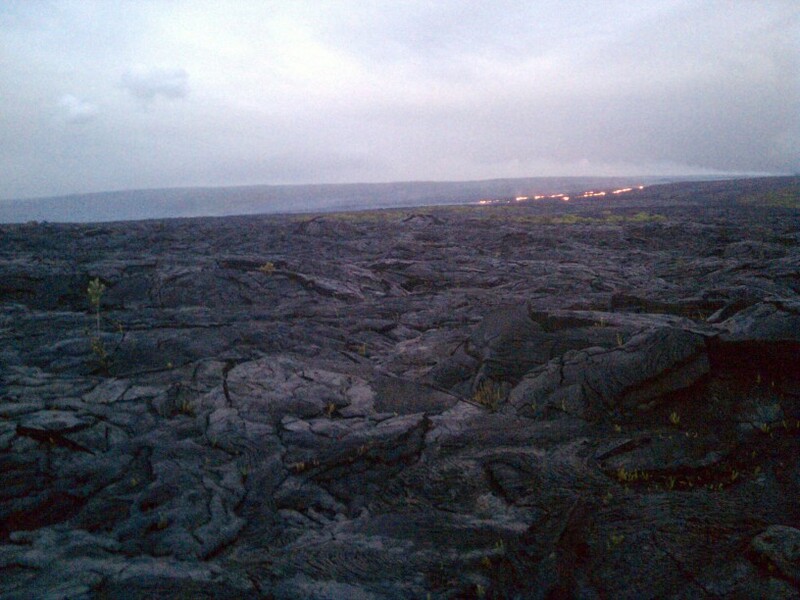 Below is a camera-phone image taken at 6:00 AM this morning of this by a local Kalapana Gardens resident. 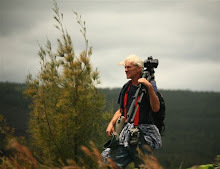 The Hawaii County viewing area opened again yesterday and will likely be open today/night as well. 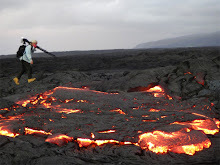 Phone 961-8093 for Civil Defense lava hotline updates. 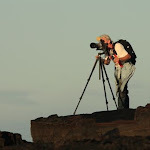 Just to say that as a layman interested in volcanoes I have this blog as an open tab on firefox all the time, and check it every day since i came across it.